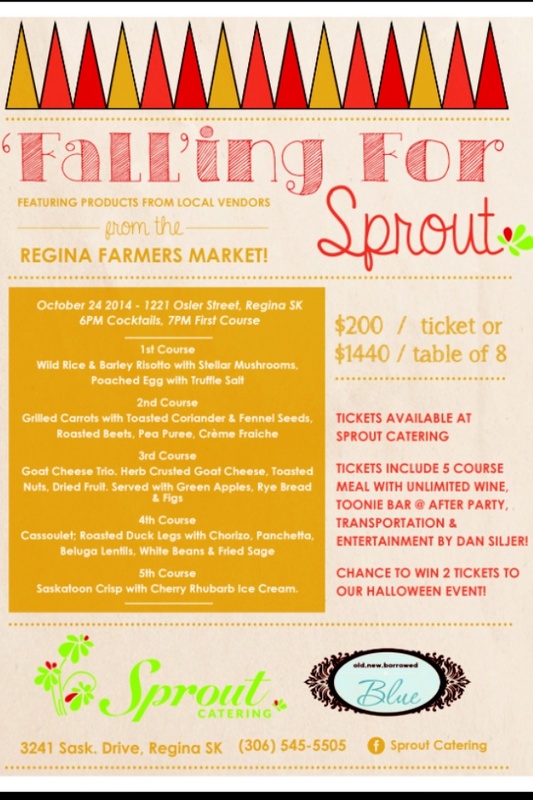 Please use sproutcateringyqr@gmail.com to email us if you need any information! Join us for our next Pop Up Restaurant! 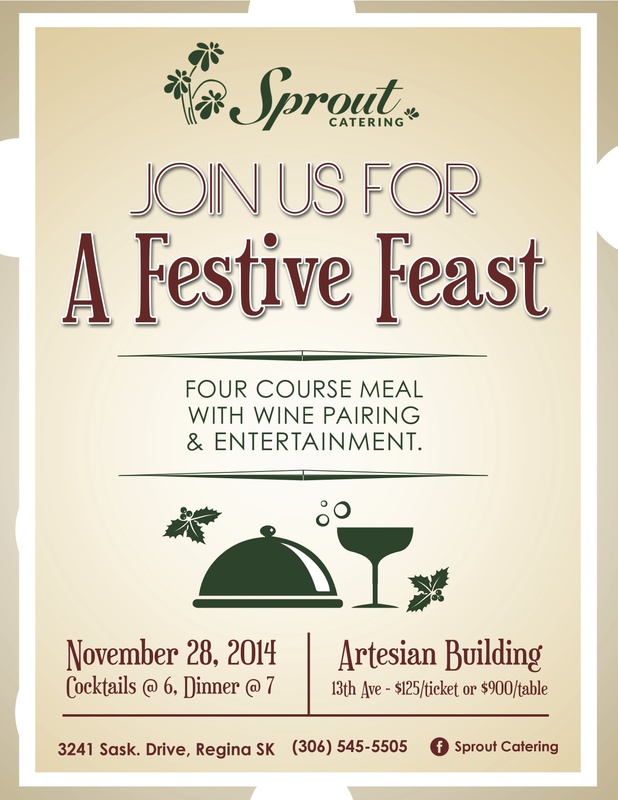 Call or come by Sprout Catering for your tickets! August 24th at the Willow on Wascana! Don’t miss this fun event! Come down and vote us for your favourite and maybe we can take home the Yellow Chef Jacket for the second year in a row! Our delivery charge will be changing to a $10 flat rate effective immediately! We have a store front where you can come and pick up lunch Tuesday – Friday from 10-3? 3241 Saskatchewan Drive, located inside the Ambassador Coffee Building. East Entrance. Lunch Feature today is Roast Beef Melt with Tarragon Mayo, Roma Tomato and Brie Cheese. Soup is Curried Tomato Soup with Chickpeas. Today’s Lunch Feature – Summer Salad – Cucumbers, Strawberries, Toasted Almonds and Goat Cheese. Soup is Super Spicy Red Pepper and Tomato! We are hosting our first “Pop up Restaurant” at the Artesian on Friday, May 30th to celebrate our One Year Anniversary! 5 Course Meal with Wine Pairing presented by Chef Jssel Blackmore. Tickets are $150 each or $1080 for a table of 8. 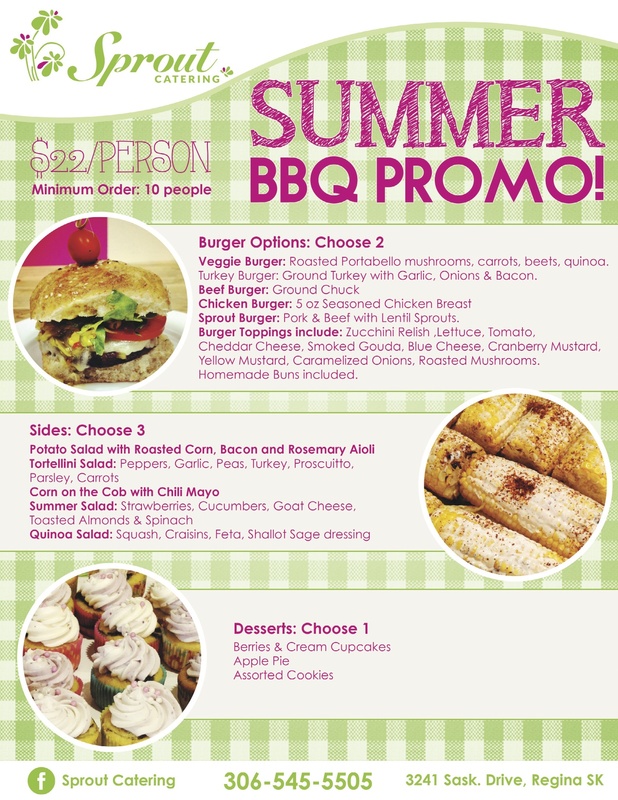 They can be purchased at Sprout Catering (3241 Saskatchewan Drive) or Leopold’s Tavern (2330 Albert Street). We cater any events outside of these hours, please send us an email or leave a message and we will get back to you as soon as possible!